← Happy Holidays! I hope that you are not sober when youâ€™re reading this post! Christmas (and thus TheDiva Rockinâ€™ in a festive holiday outfit) has come and pass. But the bad guys are up to no good at Virtual CSI:NY which means there are many detectives who have been working hard and need a party! Well this Thursday, December 27, 2007 Iâ€™m going to do just that. Itâ€™s the event before 2008 come in (and a bunch of new virtual crooks perform more virtual crimes). 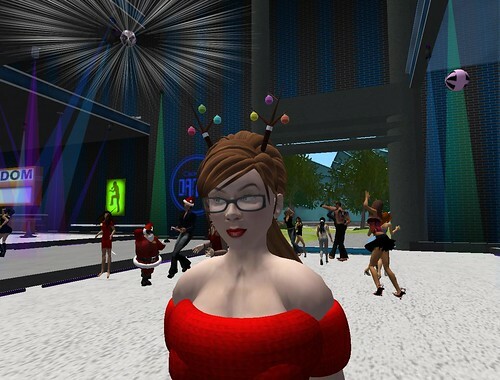 The party begins at 7pm PST (for you East Coasters that 10pm) for the final party of 2008 (actually, this will be my final party of 2008 now that I think of it) at Club Random! Do you need any more reasons to enjoy a party? Expect a mass-suicide by podcasters by Katana at the request of William Pitre. Might want to lay down a tarp. And bring extra film. Present and accounted for with Katana seppuku style. This article gives the light in which we can observe the reality. Mediation Training This is very nice one and gives in depth information. Thanks for this nice article.